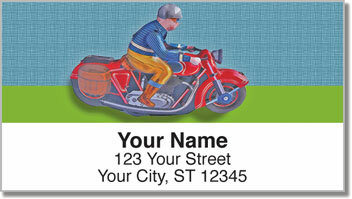 Vintage playthings stage a comeback on this unique set of return address labels available exclusively from CheckAdvantage. Antique tin toys make a delightful design for collectors or anyone who is still a kid at heart! Maybe you remember winding up a little racecar and watching it roll across the floor. Back then, kids could have fun without flashing lights and video games full of explosions. 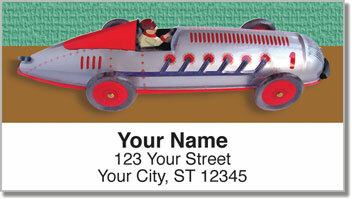 Wind Up Toy Address Labels will give your letters and packages timeless class! They'll also save you from the hassle of handwriting your name and address on every envelope. Thanks to a self-adhesive backing, all you need to do is peel and place! 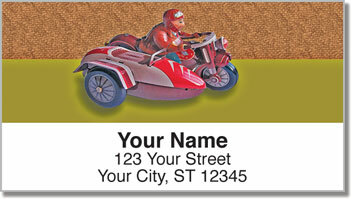 Get your very own Wind Up Toy Address Labels from CheckAdvantage today! 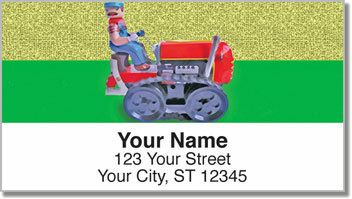 Complete your order with a set of matching personal checks!